Laser treatments cannot cure adult acne forever, but they can definitely help you manage breakouts and diminish the appearance of scarring. While adult acne is both frustrating and disappointing (I thought I outgrew this! ), you do have options for treatment that will improve your confidence and keep your breakouts to a minimum. Acne is one of the most common, irritating, and disfiguring skin ailments for teenagers and adults alike. Adult acne develops from increased androgen production in adults. Some women who use contraceptive pills even find they are also prone to acne. When your body manufactures an excess of sebum and teams up with dead skin cells, chances are this creates an environment for bacteria to roost. The clogged pores get inflamed, and thus, develop acne. Blue, red, and blue + red light devices are called “visible” light and can treat pimples, but it is not for acne cysts, blackheads, or whiteheads. Home devices are also available but treatment is best left with qualified doctors. Infrared light, like the blue and red light above, cannot treat acne cysts, blackheads, or whiteheads. Photodynamic therapy or PDT is a process wherein a solution is applied onto the skin, left there from 15 minutes up to three hours, after which the dermatologist starts the laser treatment. Photopneumatic therapy is a form of treatment wherein clogged pores and excess sebum are “vacuumed” alongside the use of an intense pulse light or IPL. 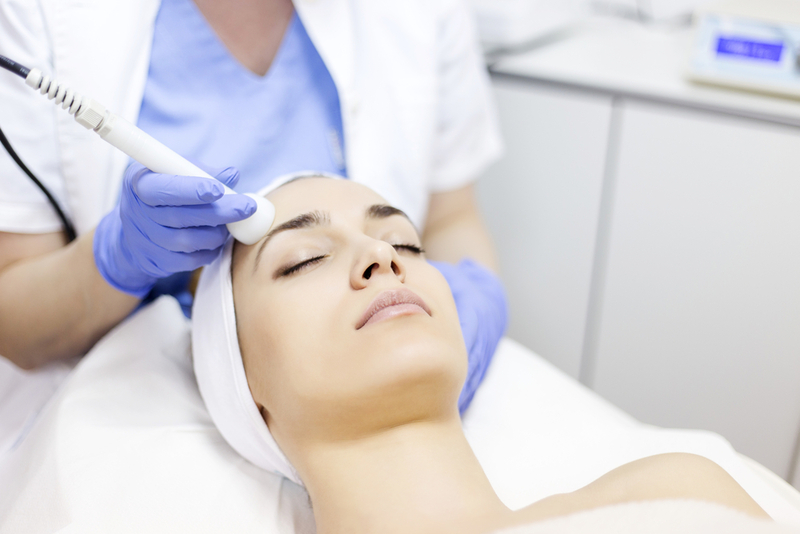 Laser treatments are promising in the field of acne treatment. Sure, there are no perfect treatments, but with laser treatments, each clogged pore is treated over a period of time with great care and attention. The severity of acne. How extensive the acne is. The potential for your healing. Will your skin heal well? Hormonal conditions of the patient. How much androgen is in the system? Of course, every patient should decided for him or herself what is best. With a personal consultation from your doctor, you may find that laser therapy will give you the results you want depending on the type of acne you have. Laser treatments are not a permanent cure for adult acne but they can reduce further damage and scarring if proper care and follow-throughs are done. Chemical peels, BroadBand Light therapy, and micro needling are all effective ways to reduce the amount of scarring you may have received form your adult acne. Read more about our recommended acne scarring treatments. Vargas Face and Skin Center offers various laser treatments for problems associated with adult acne. Contact us today to find out how you can get on the road to less scarring and gain more confidence in your looks. previous post: Kansas City Body Contouring: Trim Up and Slim Down This Spring!